Cartronics are proud to announce that we are installing Pioneer CarPlay units (Pioneer and Alpine) SPH-DA120 or iLX-700 units in to any BMW E39 . 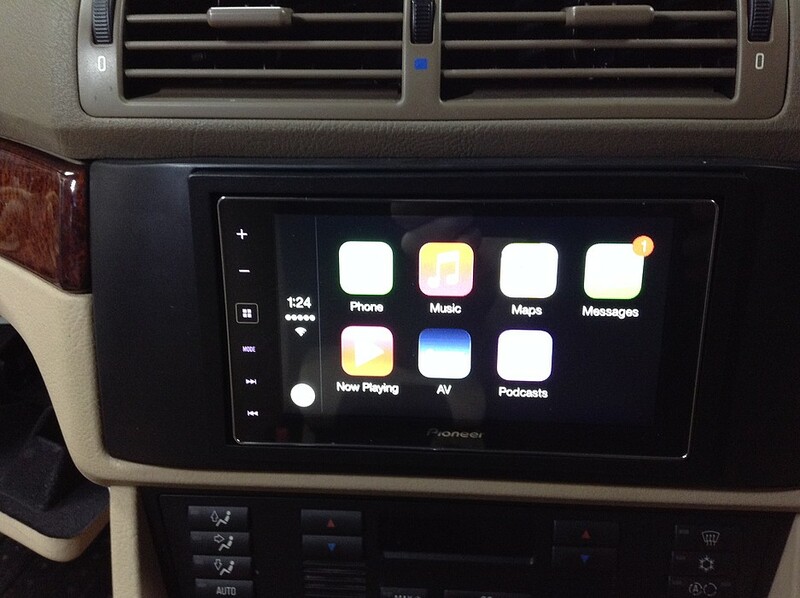 The Apple carplay unit is the best integration available for your Apple iPhone for your car, this BMW E39 had the Pioneer Carplay unit installed, it was fully connected to the cars original steering wheel controls and that includes the phone button! Also the cars HK (Harman Kardon) amplifier was retained and used with no sound quality loss. What a great system, looks and sounds the part and now brings your iPhone into the car as Apple intended with this latest double din radio.